Who among us like pests? No one, that's for sure. For homemakers, the sign of a well maintained home is a spotless and pest-free one. However, we also know that pests are creative when it comes to building their nests. Termites find wood yummy to chew on, and ants will also build their hives wherever they want to. In the case of rats and mice, they will build homes anywhere they please but vents and air ducts are among their favorites. They are somewhat attracted to the humming sound of the motor. It is not uncommon for rats’ nests to be found during HVAC maintenance cleaning. 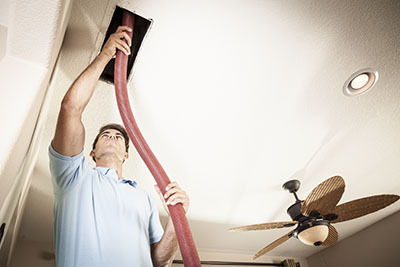 While regular air duct maintenance is intended to improve overall indoor air quality, it also helps homeowners get rid of possible breeding grounds for pests. 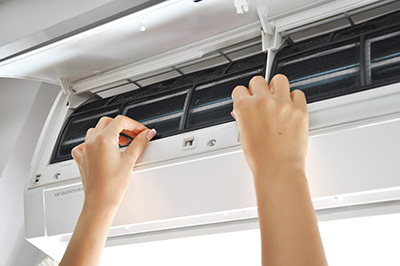 It is a common experience to find small twigs, toys, bits of paper and plastic, human hair and other bits of trash inside the vents during home air filter cleaning. This is a tell tale sign that rats or some other vermin might have been nesting inside your vents and ducts. This is dangerous not only because having a nest makes them breed and multiply even more, but because their urine and droppings may be finding their way into what you and your family are breathing. 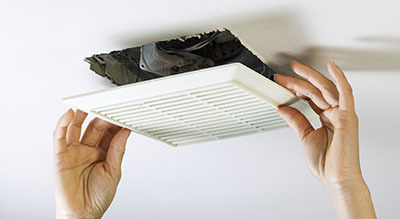 So when doing home air duct cleaning, make sure to have all the parts scrubbed clean and disinfected just to be sure. Destroying pests' nesting grounds will discourage them from coming back into your home, and hopefully keep them away for good. Apart from cleaning, you can also add screen doors to prevent pests from coming in. You should not only be conscious about what's inside your home but what can also enter from the outside as well. Regular cleaning and upkeep will help your house stay pest-free.